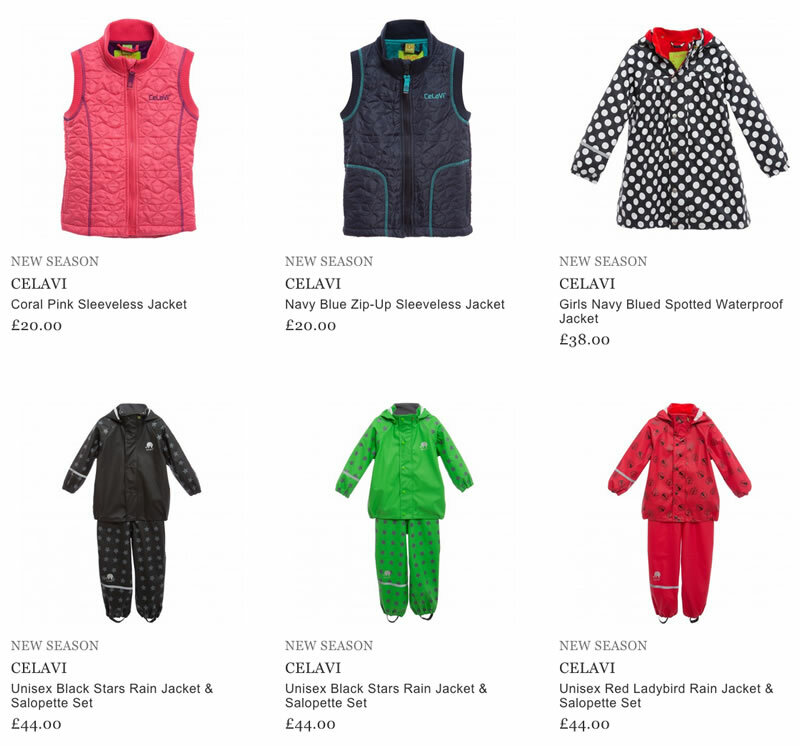 CELAVI is a well-known Danish brand of children’s clothes that offers a great variety of items of high quality for kids aged from 6 to 12 years. The line is represented by funky waterproof outwear, thermal underwear and rubber boots of different style and taste. It is interesting to notice that the designers pay special attention to the quality of their clothing. Stylish children suits, colorful leggings, pajamas, coats and other items of clothing are made from natural materials; the most used one is 100% wool, which provides the child with comfort and warmth during the winter time. The manufacturers pay great attention to the design of every collection. Striped merino wool shirts, camouflage jersey pajamas, Nordic leggings play an important role in creating a perfect look of a product. In comparison with other brands that offer waterproof outwear, CELAVI differs, because the low weight of coats, jackets and trousers. In the same time the qualified manufacturers combine bright colors and unique patterns to satisfy the kids’ tastes. A great variety of accessories is offered too. Today the brand CELAVI is becoming more and more popular, and its collection are already known in different parts of the world. Nowadays the CELEVI products can be purchased online.